Memory/Cpu Monitor which displays Memory information, Cpu information, SD Card Storage Capacity, Phone Storage Capacity, Battery, Free Memory etc. 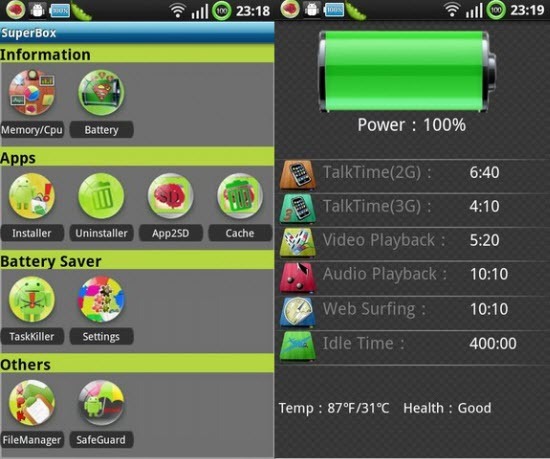 Battery which displays the remaining time for TalkTime/AudioTime/VideoTime/Web Surfing Time and Idle Time. It also displays the health of the battery and temperature of the battery. Installer/app installer which scans your “SD Card”,and shows the apps in the list. just click on the app to install. Uninstaller uninstalls your apps quickly. App2SD lists all apps that can be moved to SD Card. Cache Cleaner clears the cache files. Task Killer allows you to quickly kill processes on your Android. File Manager helps to browse your SD Card. Open/Copy/Cut/Rename/Delete/Share your files. App safeguard keeps your phone secure. 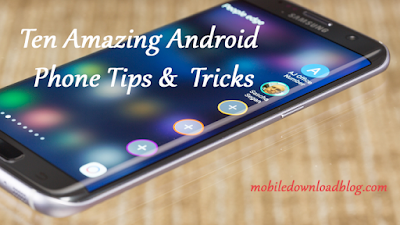 It is a must have app for all android phones. I had it on my HTC Desire HD. What about you? Download the app for FREE from android market.